When gathering data for the Greenfield Energy Audit, we discovered a great success story. 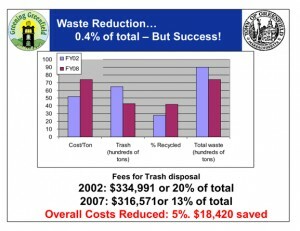 Between 2000 and 2007, the fee that we paid for disposal of trash increased by 42%, but the overall cost of disposing of our trash was reduced by $18,420 or 5%. This was made possible by reducing the amount of trash we toss! The percent recycled also increased from 28% to 42% over that time. While this is a great success story, we can do better! For inspiration, let’s look to New Zealand and their Zero Waste Movement, which has enabled many towns to reduce their waste by 80%! As of 2009, 71% of New Zealand local authorities have passed a resolution to head for Zero Waste! Doing better starts with avoiding purchasing things you don’t need, and looking for products that have little or no packaging. Also, recycling is easy in Greenfield! There is curb side pick up and new recycling totes for bottles at Parks and many other locations. 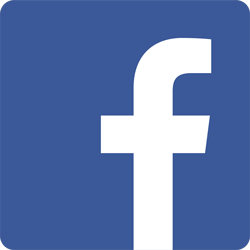 Visit Greenfield’s Waste Management System’s Website for details including pick-up schedules, transfer station hours etc. 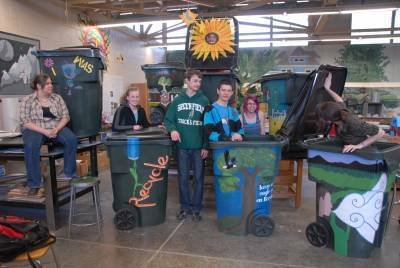 In 2010 we partnered with Greenfield High School students on a project to paint and distribute recycling bins! See photo below, and click here for more photos and info. Please share tips on how you are reducing your waste!